"Forget everything you know, or think you know, about new age, a genre that has become one of the defining musical-archaeological explorations of the past decade. 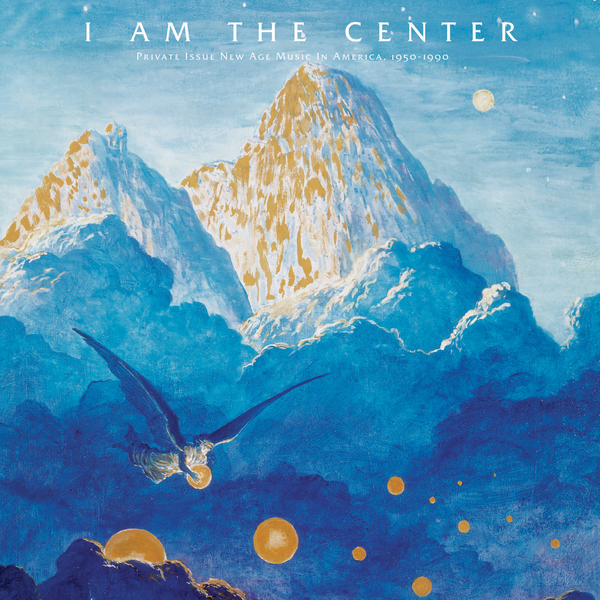 I Am The Center: Private Issue New Age In America, 1950-1990 is the first major anthology to survey the golden age of new age and reveal the unbelievable truth about the genre. For new age, at its best, is a reverberation of psychedelic music, and great by any standard. This is analog, handmade music communicating soul and spirit, often done on limited means and without commercial potential, self-published and self-distributed. Before it became big business and devolved into the spaced out elevator music we know and loathe today, this was the real thing. From mathematical musical algorithms to airport murder mysteries to Henry Mancini and Bugs Bunny, the connections to mainstream culture run in curious directions. (Did you know, for instance, that a track from the first modern private press new age album is featured on the Blade Runner soundtrack? It’s called “Pompeii, 76 A.D.”, and we’ve got it here.) I Am The Center is a knowing, but never cynical overview that invites listeners at last to the mainspring of a misunderstood genre’s greatest lights. Many of the biggest names are present — Iasos, inter-dimentional channeler of “paradise music”; Laraaji, discovered by Brian Eno playing for spare change in Washington Square Park; and the recently famous JD Emmanuel, icon to a new generation of drone, ambient, noise musicians. Call it what you will — before it was anything else, it was new age. Lovingly conceived and lavishly presented, I Am The Center features stunning paintings by the legendary visual artist Gilbert Williams, and liner notes by producer Douglas Mcgowan, who weaves the words and images of the wizards and sorceresses of new age into a prismatic portrait of music that can finally be recognized for what it is: great American folk art."